Autism in Toddlers: What are the Symptoms? Autism in toddlers is a very important topic to address. I am blessed to say that I have not had to experience autism in my family. I wanted however, to be aware and gain as much knowledge as I possibly could about this subject. I was ignorant and decided to learn. I feel that there is a need to be informed and to pass along any information to help others. Please feel free to pass along and to share. "I Want To Embrace Any Family Going Through Autism In Toddlers"
Autism is a severe developmental disorder that begins at birth or within the first two-and-a-half years of life. Most autistic children are perfectly normal in appearance, but spend their time engaged in puzzling and disturbing behaviors which are markedly different from those of typical children. Less severe cases may be diagnosed with Pervasive Developmental Disorder (PDD) or with Asperger's Syndrome (these children typically have normal speech, but they have many "autistic" social and behavioral problems). 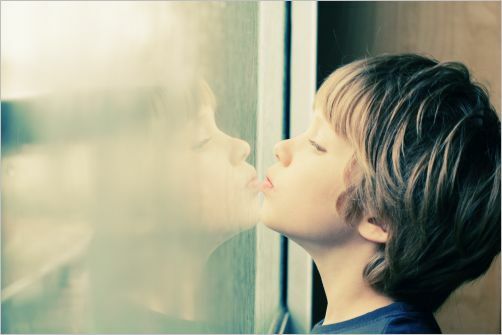 For many years autism was rare - occurring in just five children per 10,000 live births. 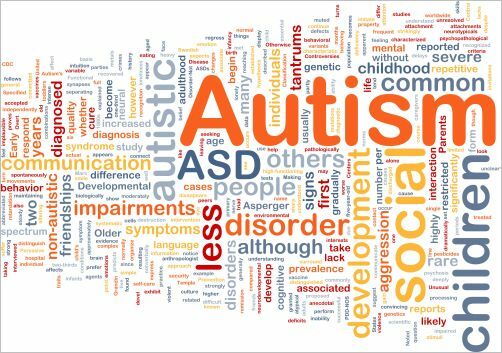 However, since the early 1990's, the rate of autism has increased exponentially around the world with figures as high as 60 per 10,000. Boys outnumber girls four to one. In 2007, the Centers for Disease Control reported that 1 in 150 children are diagnosed with autism. What is the Outlook for Autism? Age at intervention has a direct impact on outcome--typically, the earlier a child is treated, the better the prognosis will be. In recent years there has been a marked increase in the percentage of children who can attend school in a typical classroom and live semi-independently in community settings. That is why I felt the need to discuss autism in toddlers. The earlier it can be detected, the better for parent and child. Is your Toddler hitting all the normal Milestones of Development? It is so critical that you follow your toddler's developmental milestones. You along with your doctor can track your child to make sure they are right where they are supposed to be on their development. Your doctor or health professional will be able to give you more information. The difficulty in detecting autism is that some children do develop slower than other so being a few weeks late reaching one particular milestone is nothing to worry about. When a child is late over a range of these milestones then seek advice. Does your toddler lack the "social gaze"? Autistic children lack or rarely use the ’social gaze’, which defined is the process of looking at someone when giving them attention. ‘Joint Attention’, when parent and child are both giving their attention to the same object or person, is also rarer. These early signs forewarn of the two of most notable symptoms of autism, a lack of empathy for others and a tendency to withdraw into a world of their own. Clumsiness, violent outbursts and repetitive movements are all common in autism. So researchers looked at how the infant moved to see if any signs of later problems can be detected. For example, the grasp reflex is what triggers the curling of a baby’s fingers around an object placed in its palm. Other reflexes help the baby to roll over and learn to crawl. During normal development these reflexes drop away as the infant grows but in some children they are retained. This makes it harder for the infant or child to control their body because moving one limb may reflexively make another move. Making the child appear uncoordinated or clumsy. Autism in toddlers is possible to detect early enough if you watch the signs. It is important that we stay informed. I want to embrace any family who is going through autism in toddlers. I speak Blessings and comfort over you and your child. If there is any need that I may be able to meet, please feel free to contact me. Every child is a gift and has a great purpose. Thank You!